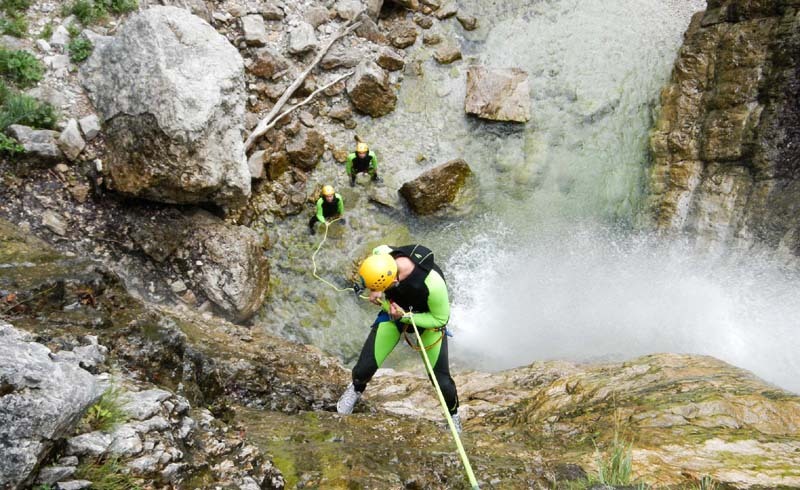 With the towering limestone massifs of the Julian Alps, plummeting gorges, an emerald river—and only about 3,000 permanent residents—the Trenta-Bovec-Žaga area of northwestern Slovenia has long been a secret stash for European adventurers. Over the centuries, the region drew iron miners, sheepherders, and alpinists, but its isolation dissuaded many from planting roots. Now an influx of outfitters is breathing new life here, and sporty travelers are the winners. The Soča’s mesmerizing hue, born of mineral deposits in the limestone bedrock, enchants visitors even before they dip a paddle in the more than 15 miles of Class I to IV rapids that run between the settlements of Lepena and Trnovo. The water color, boulder “gardens,” and forest-lined gorges draw rafters and kayakers from around the world. Swimmers cool off in the emerald waters of the Great Soča Gorge, near Bovec. And while the setting belies a dark history—Italian and Austro-Hungarian troops waged battles along this river in WWI—peace reigns today, especially in the crystalline pools and coves between rapids. The river runs higher during the spring melt, but summer and early fall offer warmer weather to offset the brisk water temperatures. 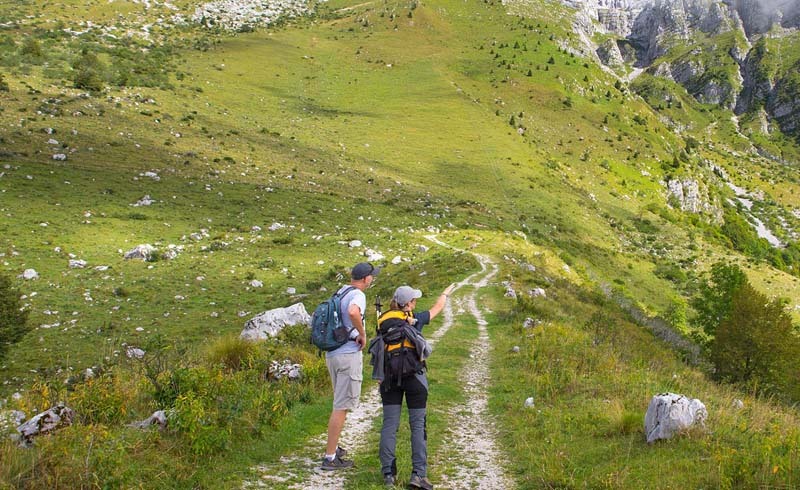 Tucked in a horseshoe-shaped valley, Trenta is a gateway to hundreds of miles of hiking, including the 12-mile Trenta–Kranjska Gora stage of the Alpe-Adria trail, which winds through forests, crests 5,285-foot Vršič Pass, and pauses at a tiny wooden chapel built in 1917 by Russian prisoners of war to honor their fallen comrades. 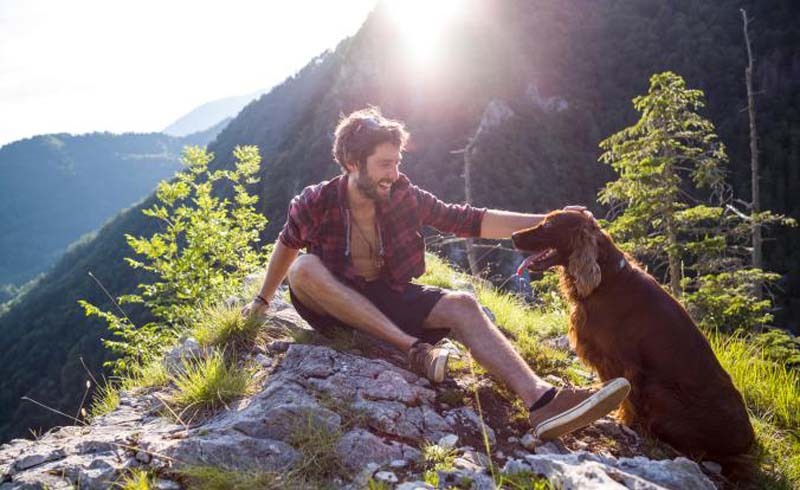 Trenta is a gateway to hundreds of miles of hiking, much of it dog friendly. For a quicker high, board the cable car in Bovec and disembark—35 minutes and more than a vertical mile later—at Kanin ski resort, home to one of Slovenia’s highest restaurants and routes ranging from gentle strolls to the demanding 8,487-foot summit of Big Mount Kanin, which offers views stretching to the Adriatic Sea, some 35 miles away. With 50 switchbacks, an elevation gain of 4,035 feet, and soul-stirring vistas, the 39-mile Vršič Pass ride—from Kranjska Gora to Trnovo—is a bucket-list feat for hard-core cyclists. The asphalt and cobblestone route passes a monument to Julius Kugy, the Italian climber and botanist hailed for exploring these mountains; the Juliana Alpine Botanical Garden (most colorful in May and June); and a WWI cemetery. Bike routes range from mellow lakeside spins to thigh-burning mountain ascents. An easier 25-mile spin begins in the town of Tolmin and traces the turquoise Most na Soči lake before rolling through a series of villages, past the Babja Jama cave, where women and children reportedly hid during the 15th-century Osmani plunder, to the medieval town of Kanal and beyond.